Premium Head-wear. 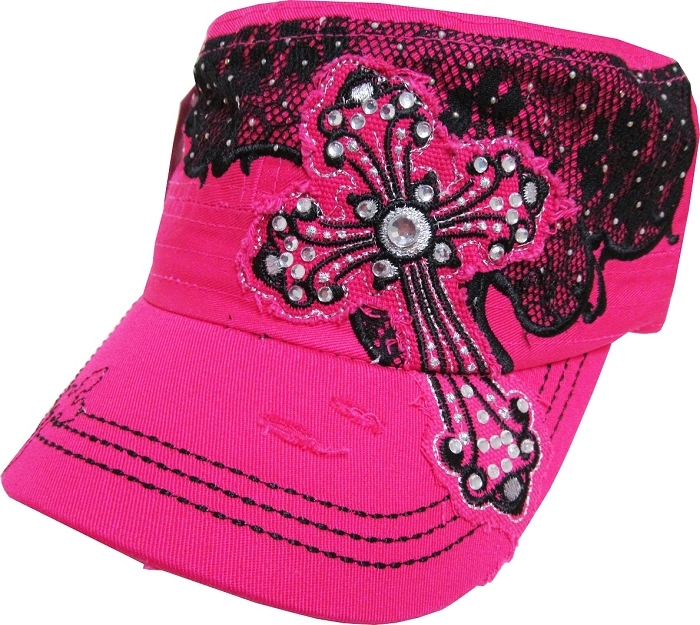 Bling Hat with Silver Cross Embellishment and Black Lace. Hat color in Hot Pink.